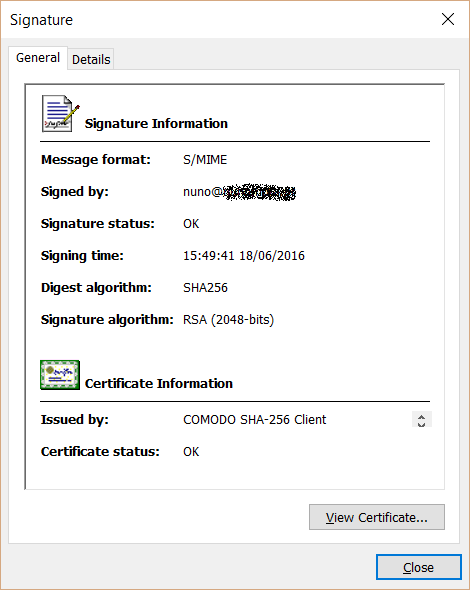 Before we can use S/MIME, we must get and install an individual key/certificate either from our company’s Certificate Authority (CA) or from a public CA. 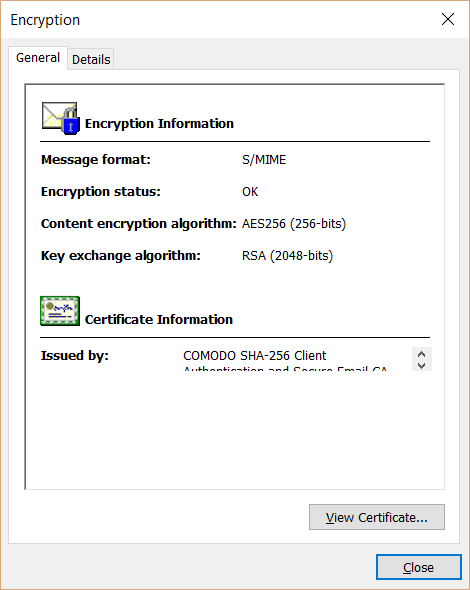 As previously mentioned, separate private keys/certificates can sometimes be used for signature and for encryption, thus allowing escrow of the encryption key without compromising non-repudiation. 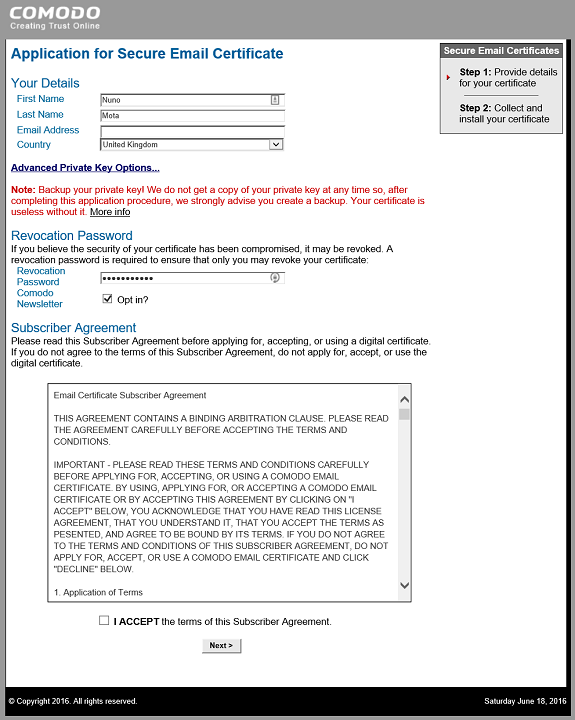 In this article we will just use a single certificate for both purposes. 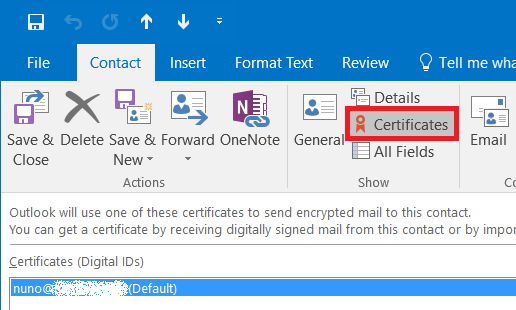 Encryption requires having the recipient’s certificate on our “store”, which we will soon see how to do when we receive an email from that user with a valid signing certificate. 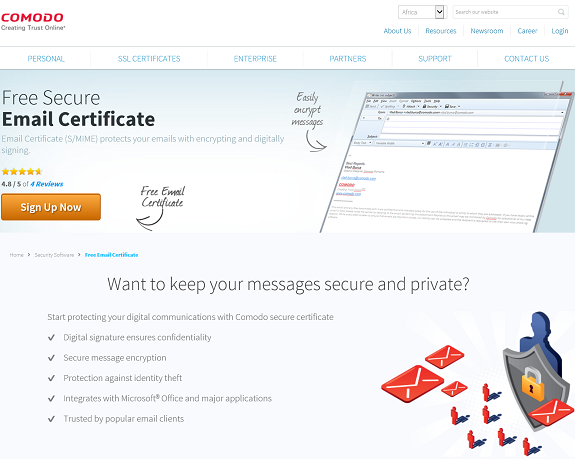 A typical basic (“class 1”) personal certificate verifies the owner's identity but it only declares that the sender is the owner of the “From:” email address. 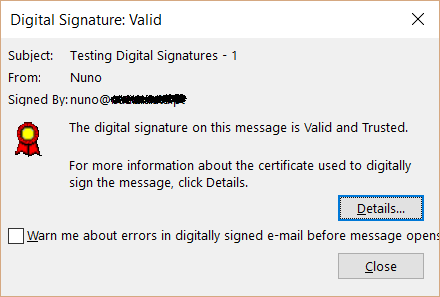 As such, it only proves that an email received really did come from the “From:” address given, it does not verify the person’s name or business name for example. 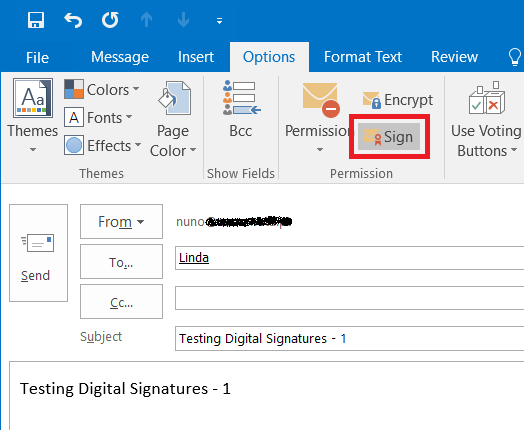 If you want to enable recipients to verify the sender’s identity by carrying the sender’s legal name in the certificate, the sender needs to obtain a “class 2” certificate from a CA who will carry out a more in-depth identity verification process. 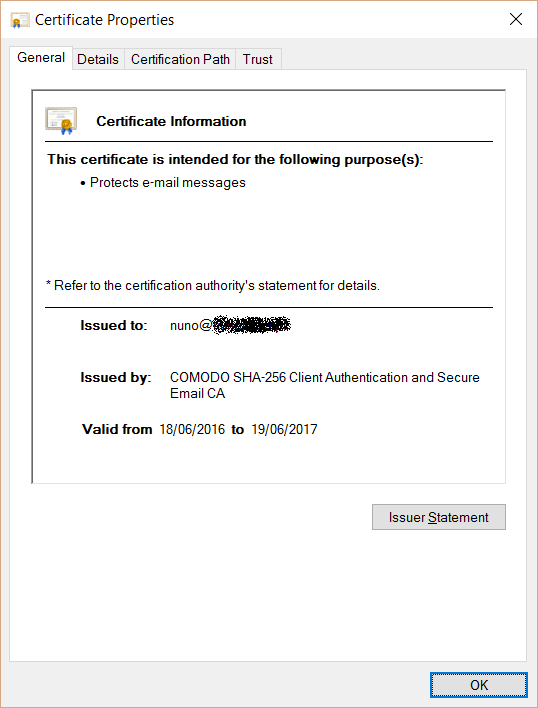 Depending on the CA’s policy, the certificate and all its contents may be posted publicly for reference and verification, making the name and email address available for everyone to see and possibly search for. 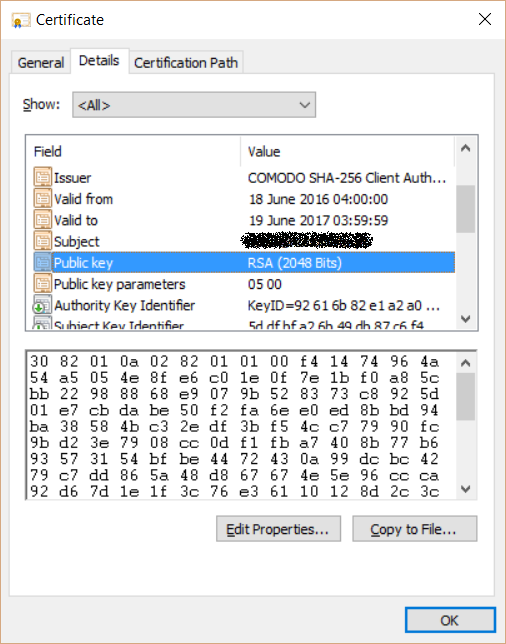 At a minimum, all CAs post at least serial numbers and revocation status (without any personal information), which is mandatory to maintain the integrity of the public key infrastructure. 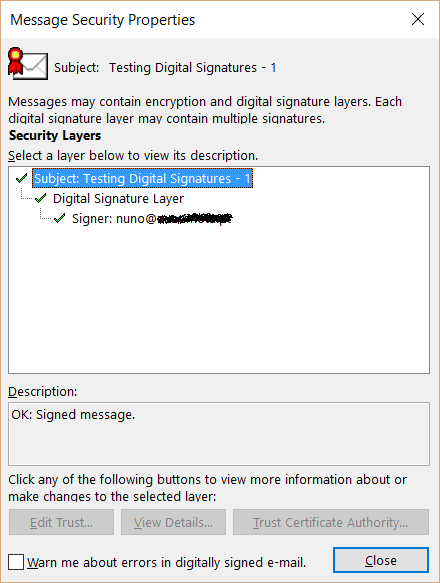 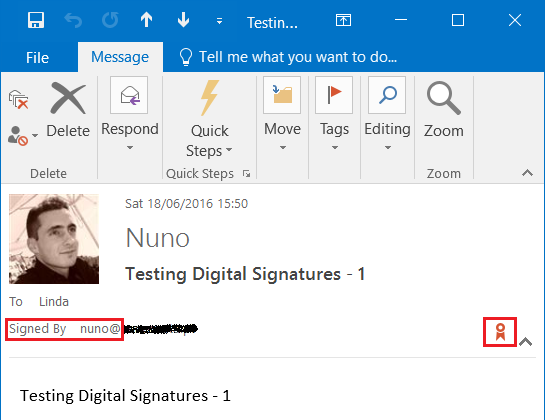 A digital ID, also known as a digital certificate, will enable us to send digitally signed messages using Outlook for example. 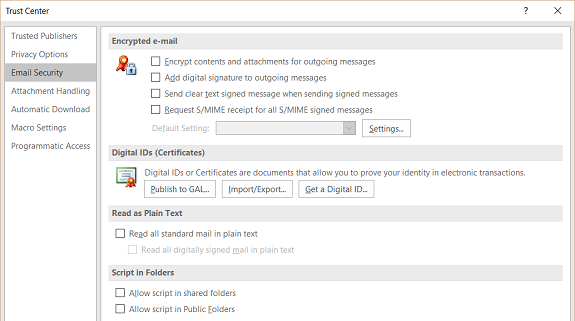 It will help prove our identity and prevent message tampering in order to protect the authenticity of an email message. 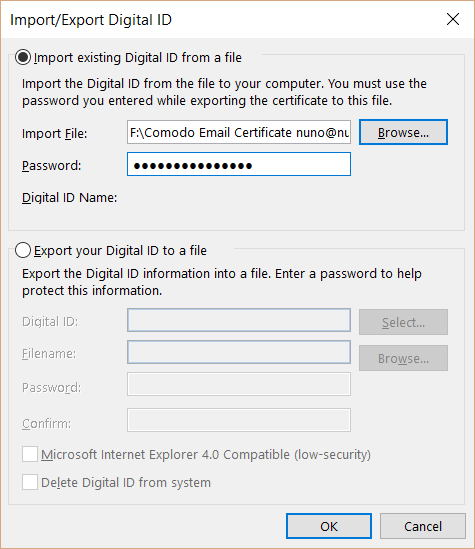 Now that we have our Digital ID, we need to configure Outlook to use it. 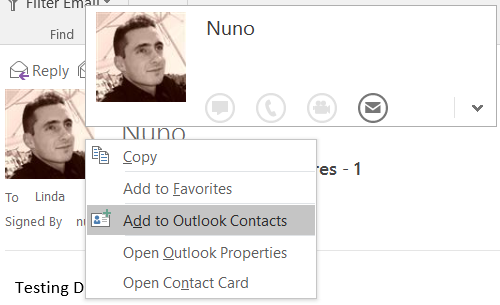 In this article we will use Outlook 2016, but the procedure is almost identical for other versions of Outlook. 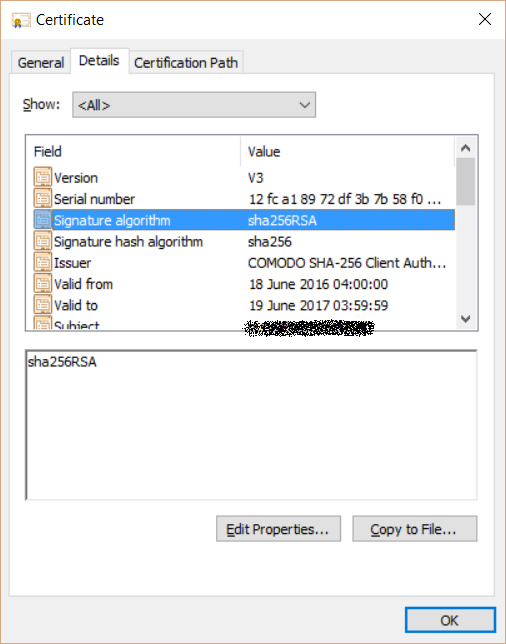 When we installed the certificate we saw that the hashing algorithm used was SHA-256, so we update the Hash Algorithm value from SHA1 to SHA265 to match it. 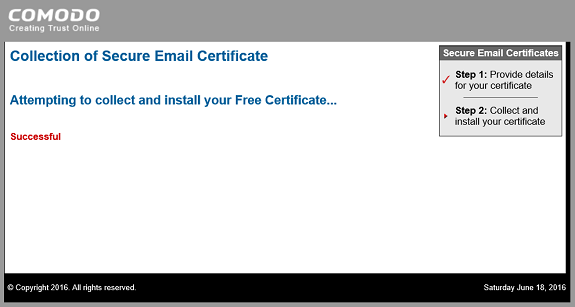 This is also where we can specify different certificates to sign emails (Signing Certificate) and to encrypt emails (Encryption Certificate) by clicking on Choose... and selecting a different certificate. 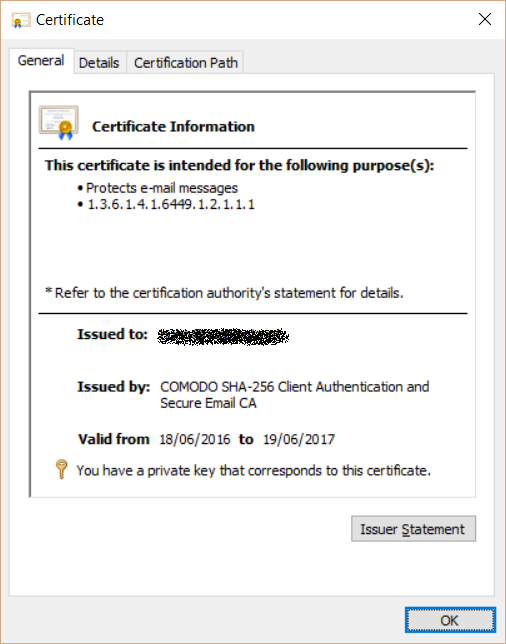 In this case I will use the same certificate for both operations. 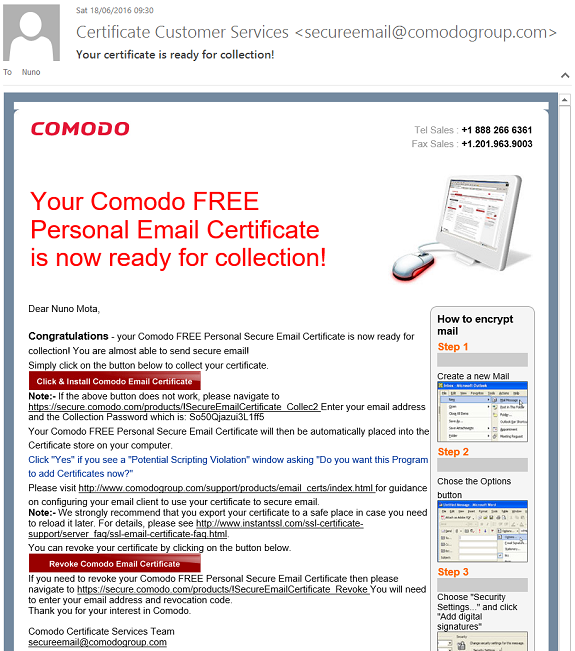 The certificate is then imported into our store and is available for Outlook to use. 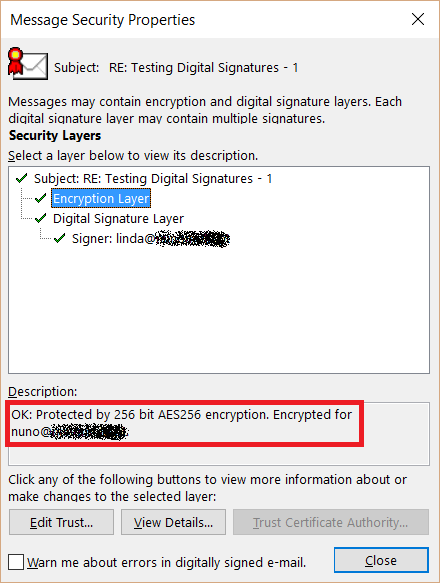 As already mentioned throughout this article series, in order to send encrypted email messages, the sender must possess the recipient’s digital ID (remember that we encrypt messages with the recipient’s public key). 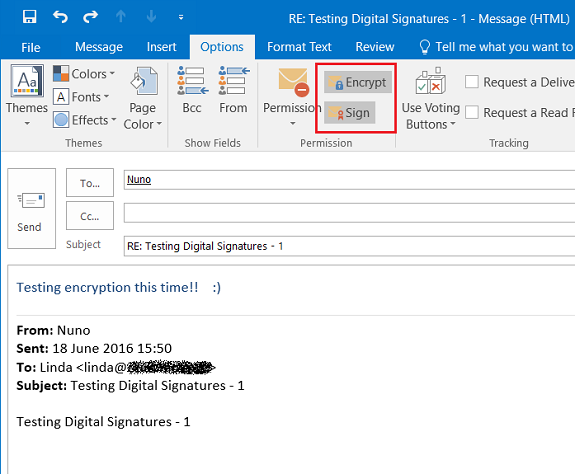 This is why the intended recipient of the encrypted message must first share his/hers Digital ID by sending an email to us. 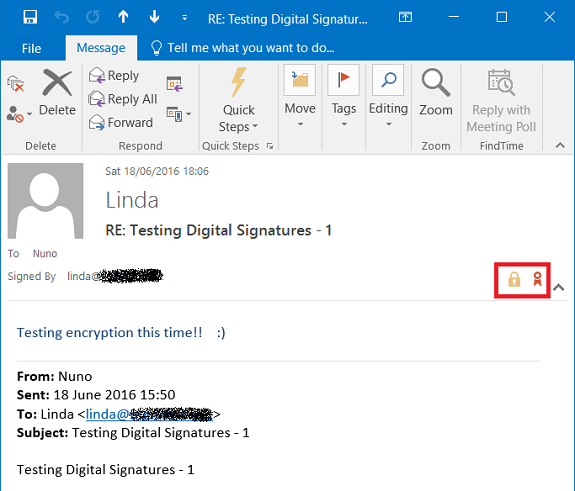 At this stage, Nuno already sent Linda a signed email, so Linda has everything she needs to send encrypted emails to Nuno. 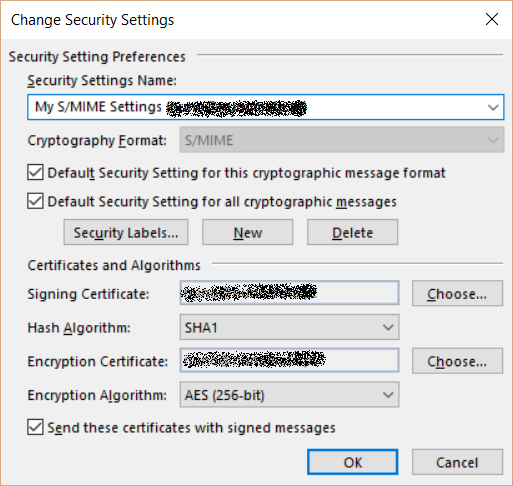 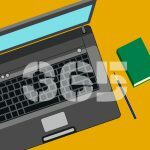 In this article series we explored the basics of cryptography, how digital certificates work and how we can use them to protect email communications by signing and/or encrypting emails in Outlook using S/MIME.